It's Rosh Hashanah, the Jewish New Year. It's time to learn new things, wear new clothes and taste new fruits. It's time to toss crumbs into the water and say, "I'm sorry." 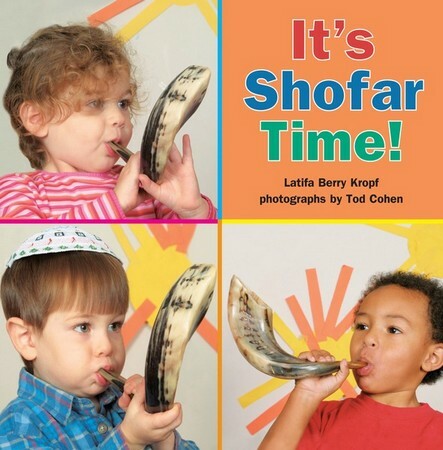 It's time to hear the sounds of the shofar. Join pre-schoolers as they prepare to celebrate the holiday. Fifth in the "It's Holiday Time" series. "The brief amount of text on each page and very appealing children pictured...make this just right for using with pre-schoolers, their parents, and in the classroom. Recommended for all Jewish libraries."